Compact, free flowering over a long period, with a flower size of approximately 4” or 10cm. Particularly suitable for growing in containers and will re-flower year after year. 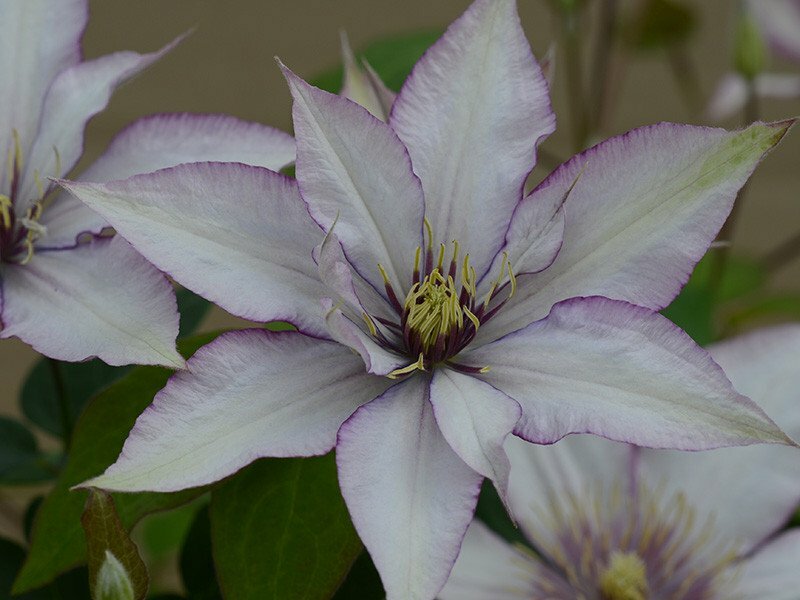 A clematis with distinctly different flowering habit, producing many blooms at the same time. The six or more pointed sepals have a silvery-pink central part and light purple margins.